A new renovation show set to come to Channel 9 next year. Channel 9 have announced a new renovation show that is set to hit screens next year. They are currently taking applications. 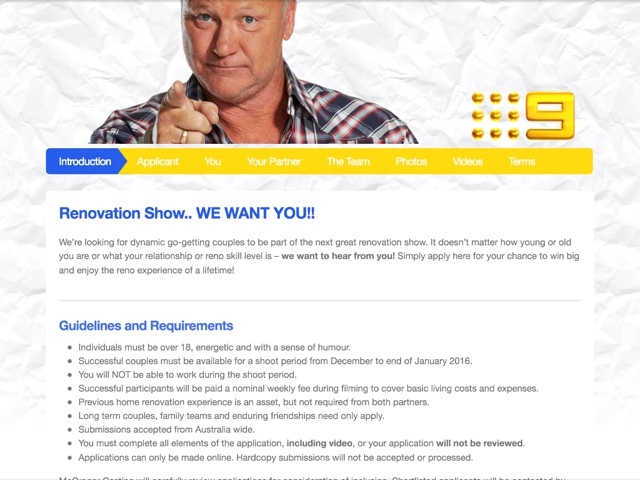 Scott Cam is believed to be the host as he is featured all over the applications page. The filiming time will be from December to January, 1 month shorter than The Block.